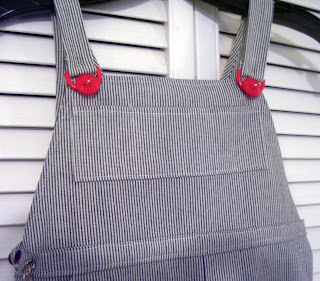 Tender Arts Studio: Casey Jones Jr.
One of the things I love about my job is that I have young co-workers with young children- it gives me opportunities to make things for children that I know. 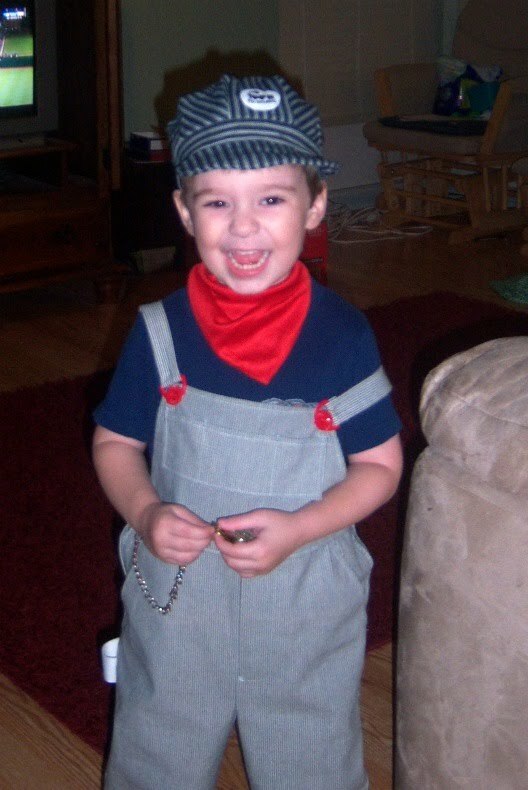 Little Jacob is obsessed with trains as are many three year old boys. 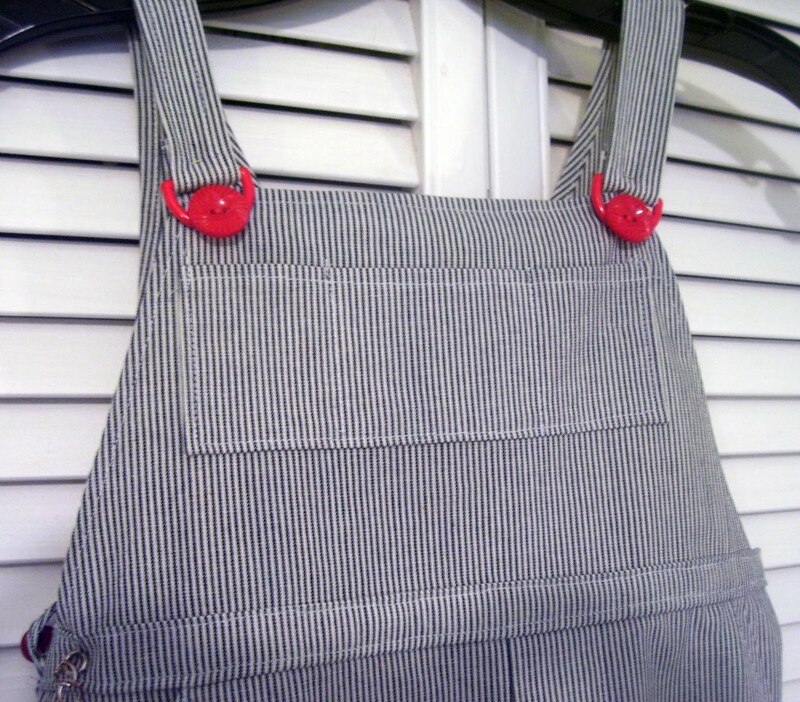 I had this awesome ticking stripe in my stash and drafted my own overalls pattern so he could be an engineer for Halloween. They were a challenge, but in the end I'm really happy with how they turned out. 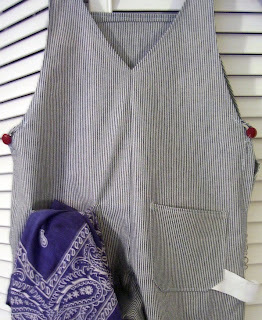 I even included an old pocket watch with the overalls. Mom and Dad bought his kerchief and his engineer hat. What do you think? Did he love it? I think that smile tells the whole story! I love this little engineer! 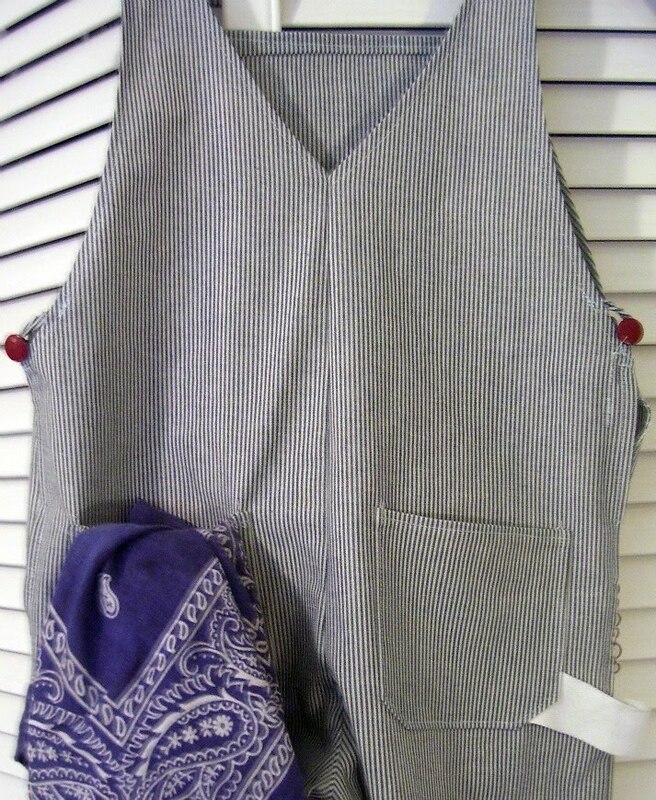 Homemade costumes are the best!